When will I get my order? : Proof in 1-3 business days. Once your proof is approved, you will receive your cards in 3 weeks. 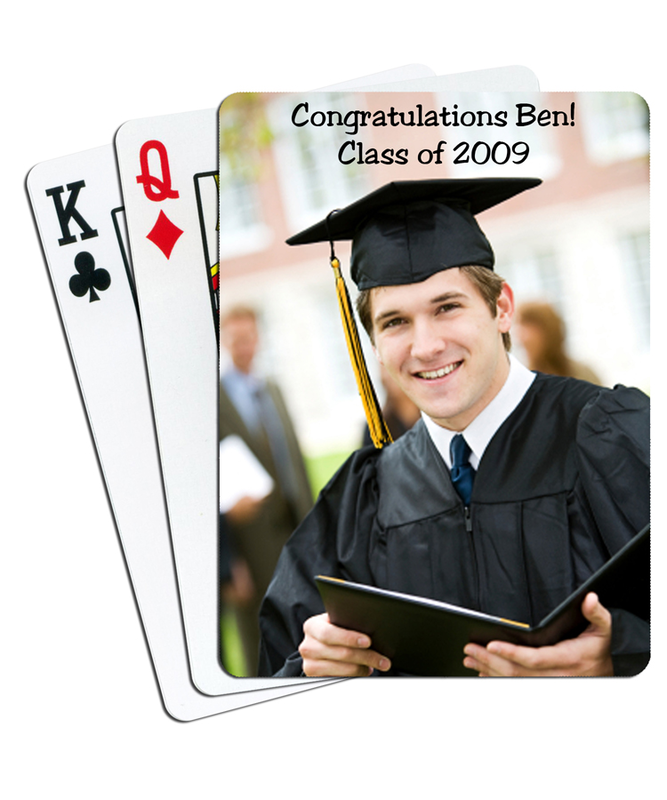 These personalized photo playing cards make a unique and thoughtful graduation party favor - as well as a practical one! 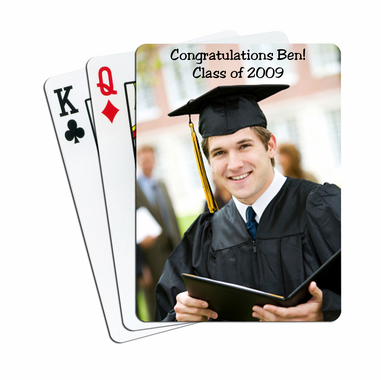 Your photo with text personalization is on one side of every card - while the other side is the traditional red and black suit of cards: spades, diamond, hearts,and clubs. Decks are shipped in white boxes that have a see-thru window that showcases your photo! Size: Poker, measuring 2.5" x 3.5". Each deck is $5.52 and must be ordered in sets of 20. 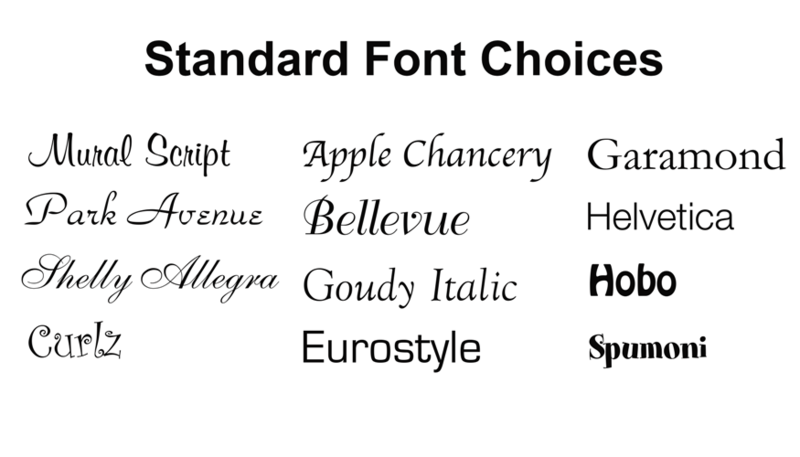 We can offer quantity discounts for orders of 160 or more. Contact us for a quote. If you wish to check to see if a photo will work, please email us your photo.